There were plenty of movies made based on Bible, or telling the story of Jesus Christ. Some of them are very touching,and extremely sad. Especially,if you`re that strong believer, you will keep wiping the tears from your eyes throughout the movie such as “The Last Temptation of Christ’, “Jesus of Nazareth”, or “The Passion of Christ”. Even me, personally decided to not watch “The Passion of Christ” again. Since we have already seen many movies and musical based on Bible, by watching the movie “Son Of God”should not impressed us that much to change our view on God, and makes us believe in God more than ever. Let`s be clear here: “Don`t expect from this movie another “The Passion of The Christ”, otherwise you will be very dissapointed. That`s not gonna happen. The film itself looks more like made forTV. But still watchable, I must say. The synopsis of the movie did not change since the beginning of the story of Jesus itself: Christopher Spencer is more focused on the story of Jesus (Diogo Morgado) through his teachings, crucifixion, and of course, his ultimate resurrection. As you can see, nothing new we should have expect from this film, but it will be marked by all manner of negative human depravity, betrayal, duplicity, abuse of power, torture and crucifixion of Jesus. There is no large scale scene in the movie, which makes this movie even better and easy watchable. The only thing I did not like in the movie is a very poor acting of actors and actresses. But for the movie like “Son Of God” where showing an emotions is main weapon to manipulate with the audience. And sadly, that`s exactly what happened in “Son of God”. 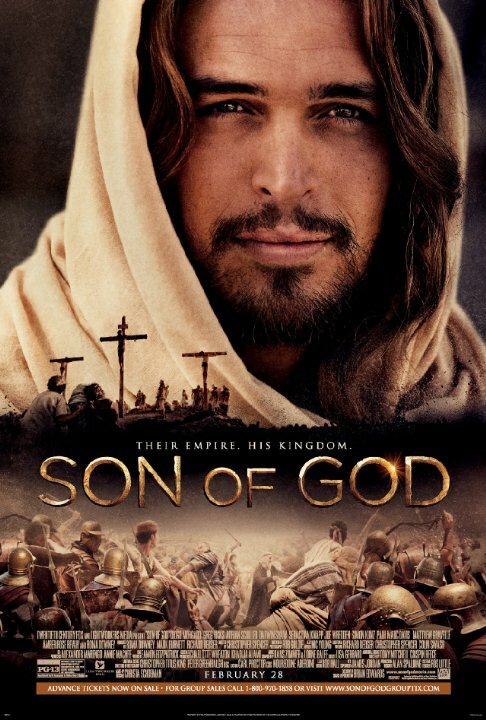 Despite this undeniable fact, “Son of God” still a very interesting movie to watch. And I have to give credit to Diogo Morgado, if Jesus would really exist, Diogo would definately looked like him.